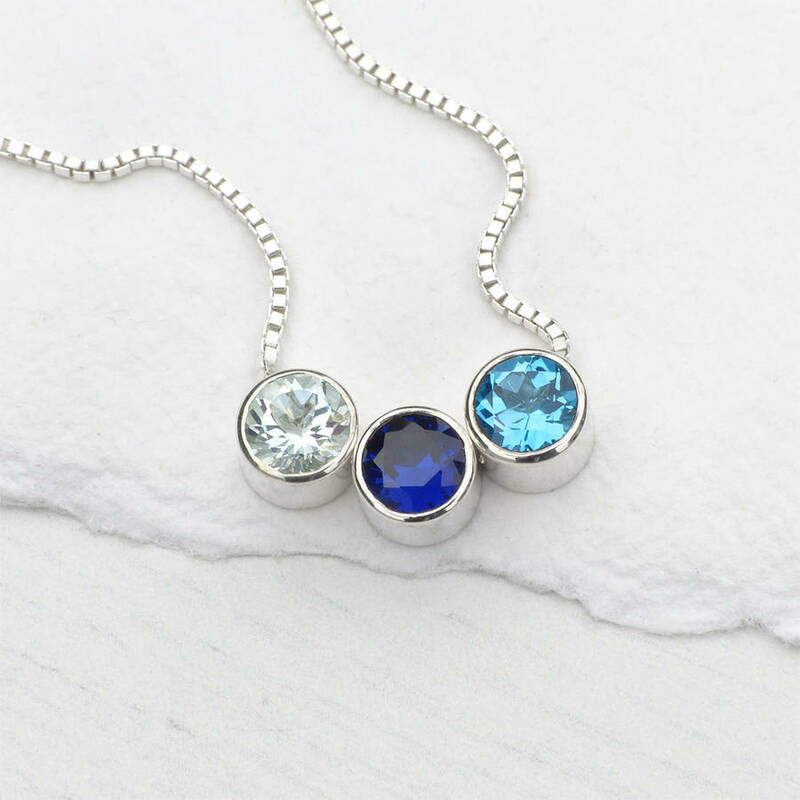 You can also wear your own birthstone as a single stone on your birthstone necklace. 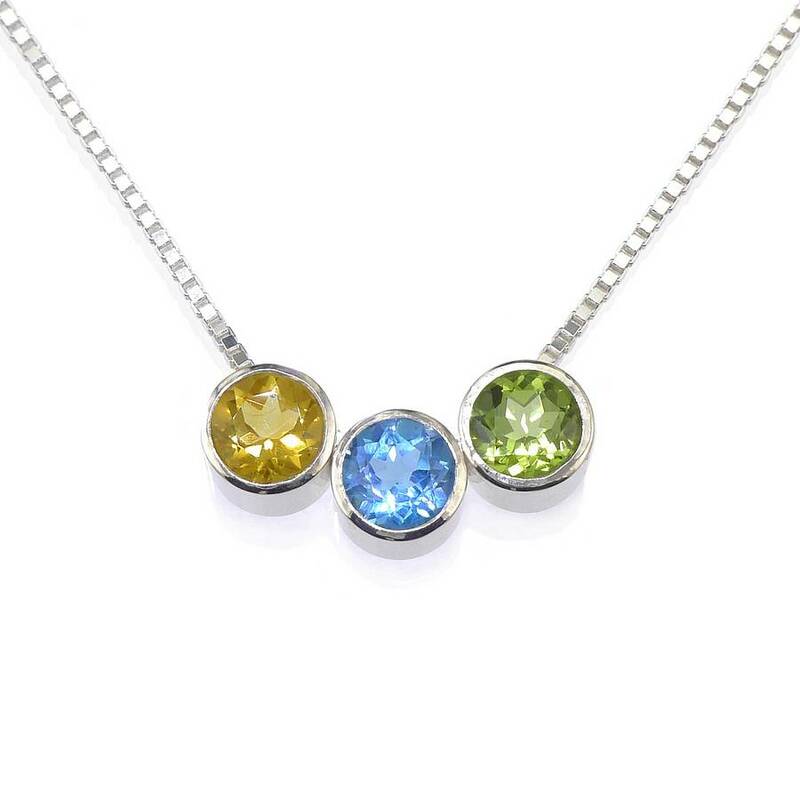 Each sparkly, high quality 6mm round birthstone gem is bezel set in a solid sterling silver setting. 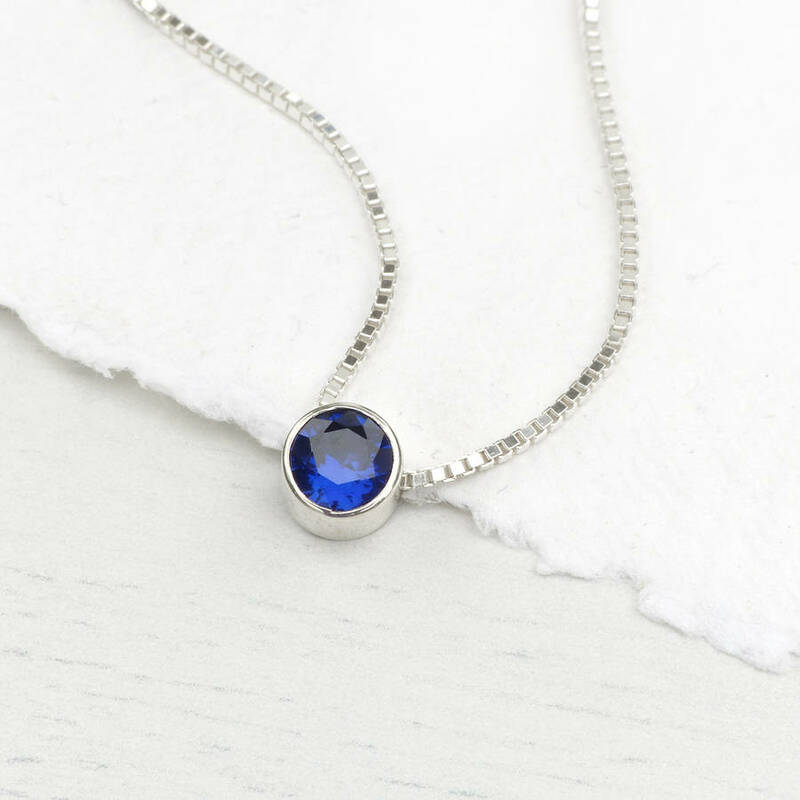 The setting is drilled at the top to allow the pendant to slide on the 1mm box chain. Up to five birthstone pendants can be attached to the chain. Please let me know if more are required. 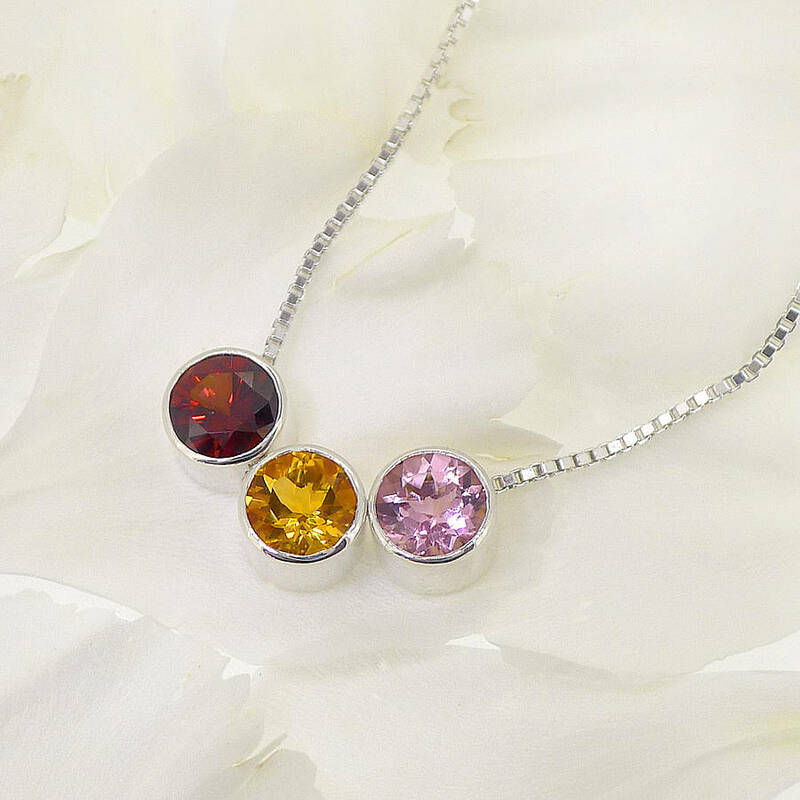 Each birthstone necklace is handmade in my studio in the Cotswolds, England and is supplied with my designer heart tag, near the clasp. 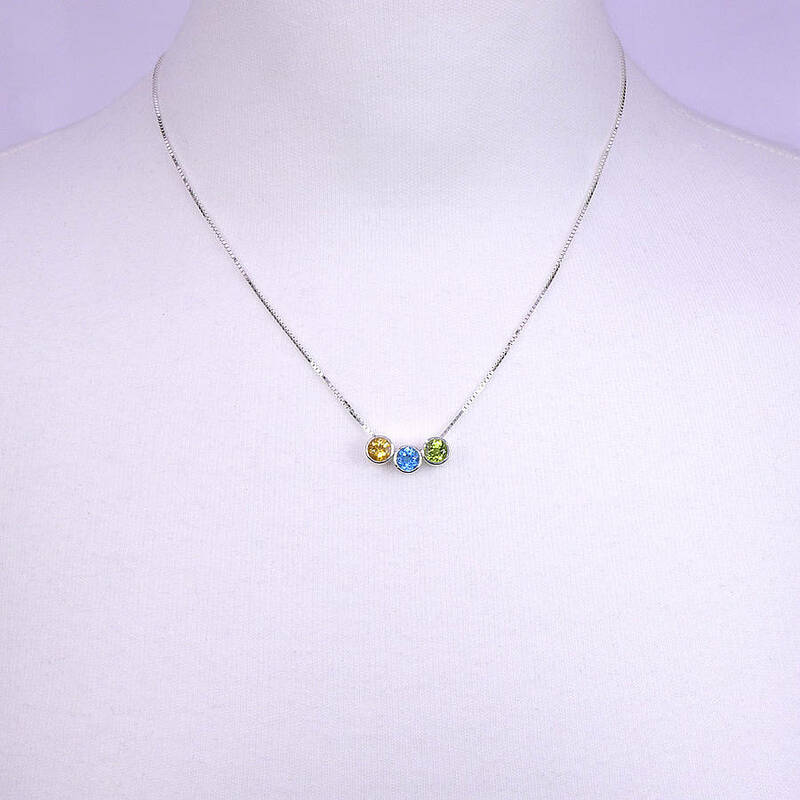 The birthstone necklace is supplied with a Sterling silver 18" box chain - please let me know if you would like the chain to be shorter. 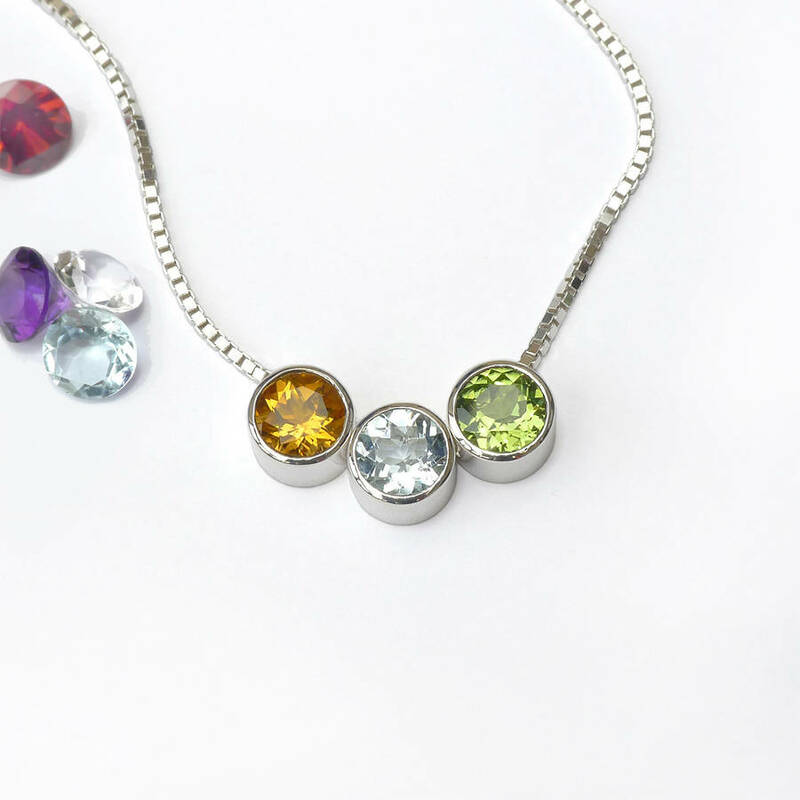 All gemstones are natural apart from the lab grown emerald (May), alexandrite (June), ruby (July) and sapphire (September). 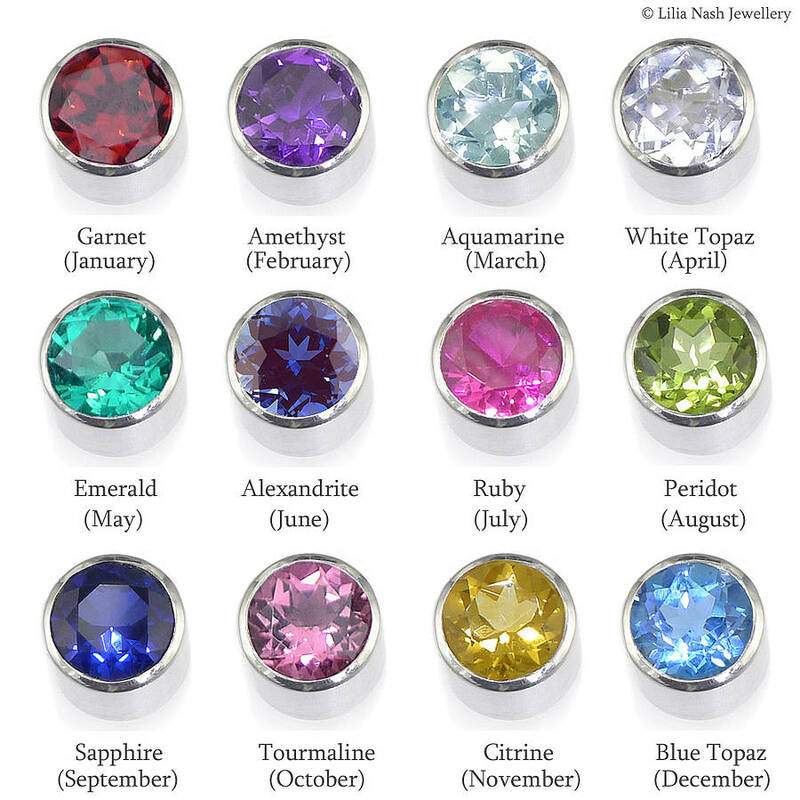 Natural stones for these months (and diamond = April) are available on request. 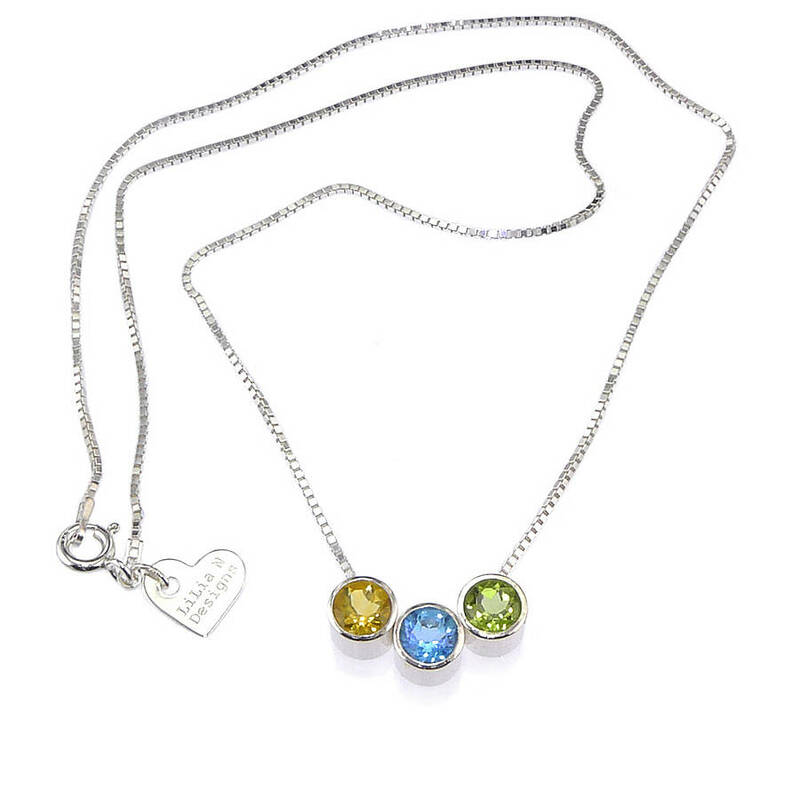 Please let me know if the gemstones should be attached in a certain order. 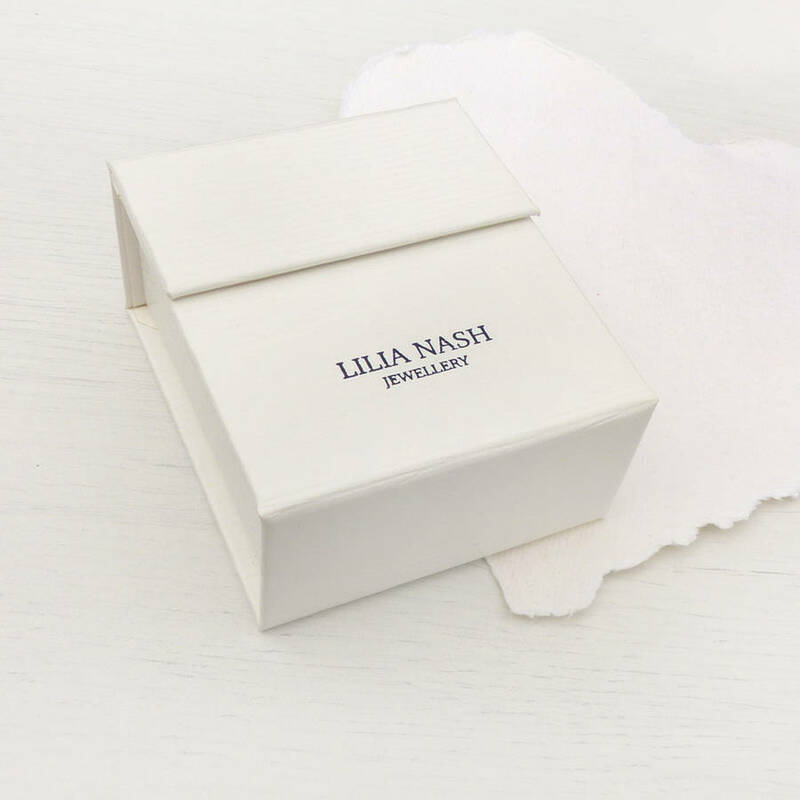 This product is dispatched to you by Lilia Nash Jewellery.